Professional and functional mouse designed especially for gamers. Precise optical sensor with switchable resolution of 800/1200/1600/2400 will allow you accurate positioning of the cursor in the games. It's ergonomic shape and materials used for finishing prevents hand fatigue while playing. Special profiling makes that mouse will fit well to you hand. 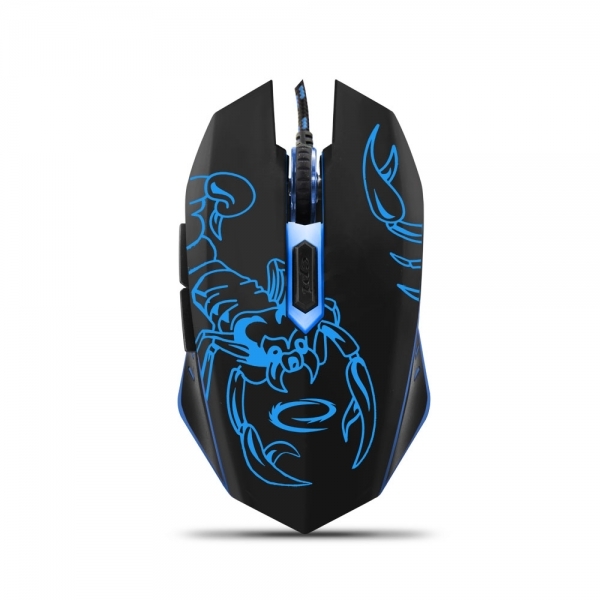 The "Next" and "Previous" buttons, placed on the side of mouse, will speed up operating in web browsers and you will appreciate them in games and other programs. The mouse has secured with additional, fabric protection cable with reinforced USB connector. Surely it will be useful and great tool at playing your favourite game for long.